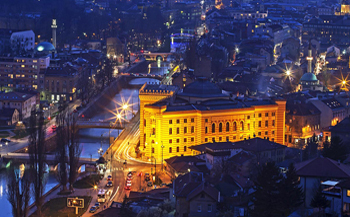 Sarajevo Night, as it has become an annual tradition, will beheld at Restaurant Flamingo’s this year on Friday, November 25th. This year Gremy Concerts has the honor of organizing the event for all Sarajevans and all the Friends. We have a line up of musicians and artists looking to entertain you long into the night with familiar music of Sarajevo Legends Indexi, Bijelo Dugme, Crvena Jabuka, Kemal Monteno and so many more. Thanks to Flamingo’s Restaurant we have a venue to get together for an awesome DERNEK. Entry is only 10.00 to help us cover the cost of organizing. Dinner and beverages are up to you. Come out and party with us on November 25th. Doors open at 7PM. Dernek begins at 9PM. See you soon – Vidimo se uskoro!